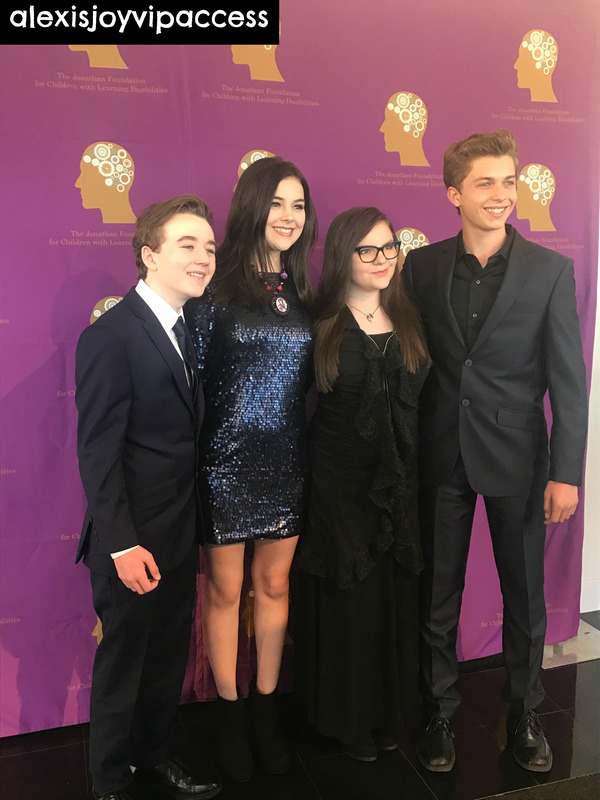 VIPAccessEXCLUSIVE: Jacob Hopkins, Merit Leighton, Marlowe Peyton, And Benjamin Stockham Showed Their Support At The Inspiring Jonathan Foundation Spring Fundraiser! We all know the importance and value of getting the best kind of education we can receive, but for children with learning disabilities and special needs, it may not be that easy. That’s where The Jonathan Foundation comes in – one of the most inspiring, stupendous and life-changing foundations out. The Jonathan Foundation was created by the admirable and remarkable, Raja Marhaba and together with her terrific sons, Jonathan and Omar Jr. as well as the magnificent board members, The Jonathan Foundation has impacted the lives of many in more ways than imaginable. The Jonathan Foundation’s goal is to provide assistance to children with learning disabilities and special needs and give them and their families the proper help and resources they need to get the education they deserve. The Jonathan Foundation has garnered a great support from celebrities as well who have been touched by the work of this outstanding foundation. Celebrities including the extraordinary Jacob Hopkins, the wonderful Merit Leighton, the amazing Marlowe Peyton, the phenomenal Benjamin Stockham and the spectacular Terrell Ransom Jr are just some of the many excellent stars who have been showing their support towards The Jonathan Foundation for many years and they continue to do so. May 20, 2017 marked a very touching and special day as it was The Jonathan Foundation’s Spring Fundraiser held at the Marconi Automotive Museum. Jacob Hopkins, Gerad Hopkins, Merit Leighton, Marlowe Peyton, Benjamin Stockham, and many more showed their support at the event. The event was filled with tons of great opportunities to raise money for The Jonathan Foundation’s Scholarship Award Program including a fun game of “Heads or Tails,” a silent auction, as well as beautiful, art pieces that were on sale. The Jonathan Foundation Spring Fundraiser was truly an exceptional event for a brilliant cause. I, Alexisjoyvipaccess had the greatest honor of covering and attending The Jonathan Foundation’s Spring Fundraiser and I’m absolutely mesmerized by this sensational foundation. I am beyond honored to continue to show my support towards The Jonathan Foundation and you too can join in and help in any way that you can. Visit http://thejonathanfoundation.org for more information and to donate to this marvelous foundation. Check out some VIPAccessEXCLUSIVE pictures below from my coverage and attendance of The Jonathan Foundation’s Spring Fundraiser and stay tuned for interviews with Jacob Hopkins, Merit Leighton, Marlowe Peyton and Benjamin Stockham from the event. Jacob Hopkins and Terrell Ransom Jr. Previous VIPAccessEXCLUSIVE: Kira Kosarin Interview With Alexisjoyvipaccess At The Nickelodeon “Sizzling Summer Camp Special” Screening Event! Next VIPAccessEXCLUSIVE: Aidan Miner Interview With Alexisjoyvipaccess At The Nickelodeon “Sizzling Summer Camp Special” Screening Event! Such an iuplifting article you did for this inspirational Jonathan foundation fundraiser spring event !